The Telstra Perth Fashion Festival presents one of the most anticipated fashion documentaries of the year. Join us on Wednesday 5 September at Luna Cinemas Leederville for an exclusive preview screening of MCQUEEN (6.15pm arrival, 7.00pm film start). Guests will receive a glass of Prosecco on arrival courtesy of Risky Business as well as a sweet delicacy lovingly created by the talented Sue Lewis Chocolatier. 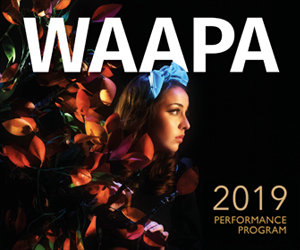 Our pre-screening function includes a celebration of local fashion creatives as well as a performance from members of the Perth Symphony Orchestra. The Telstra Perth Fashion Festival celebrates 20 years in 2018 and runs from 5 -15 September. This is a screening event not to be missed. Get your tickets now.